Are you one of the millions who’s planning a luxurious getaway this winter? If so, you should consider having a vacation in the island-nation Barbados. The tiny Caribbean island offers a slice of tropical paradise blended with a rich colonial heritage. Travellers can find dozens of exclusive beachfront villas in Barbados with their own private stretches of coastline. If you’re not convinced, keep reading and discover these top ten reasons to visit this year. It’s no secret that Barbados offers an unmatched level of luxury in the Caribbean. Apart from private villas along the southern coastline, there are dozens of all-inclusive five-star resorts. Swimming pools, shady palm trees and empty beaches are just some ways to describe the experience. If you’re looking to have that delayed honeymoon or just to experience the best of a tropical island, Barbados is for you. With more than 100 kilometres of coastline stretching around the perimeter of the island, Barbados’s beaches are second to none. And unlike some of the other destinations in the Caribbean, the beaches are protected under local laws. What this means is that greedy companies can’t snap up the prime locations. Local Barbadians and tourists can visit and enjoy every single beach on the island. It pays to research which one you want to spend your time on. Some cater mostly to tourists while others have a healthy mix of both locals and visitors. If you’re planning a beach vacation, one of the criteria is usually to have warm weather. Because of the location of Barbados near the equator, the nation has warm weather all year round. Those looking to escape the winter chill will be able to do it here. The dry season lasts from early November until the middle of May. During this time, you can expect five out of six sunny days with a practically zero chance of rain. This gives you a perfect opportunity for a tropical Christmas and New Year. Even in the rainy season, temperatures are pleasant and it doesn’t rain every day. When you hear the term Carnival, most people immediately think of Brazil. But the Caribbean have their own island-wide parties full of music, dancing and fun. Barbados’s is called Crop Over. Dating back to the 18th-century, the festival has its roots in slavery. Flash forward to the present and thousands of Barbadians don extravagant costumes and dance down the streets to funky music. Everyone from all corners of the island comes out for the party. And even Rhianna (who has Barbadian roots) often makes a special appearance. If you like partying, you should try to plan your trip to coincide with Crop Over. Apart from crystal clear snorkelling conditions and diving to shipwrecks, Barbados also offers the chance to swim with turtles. Tours take passengers to the spots where giant turtles swim on the surface of the water. You can dive in and swim alongside them. While this is a once-in-a-lifetime experience, always keep your distance. Don’t disturb the turtles. Bring a waterproof camera. Few places compare to Barbados’s beauty. White-sanded coastlines hug the jungle-covered interior. Spend the morning on the beach and afternoon hiking to almost secret waterfalls and vantage points. Follow the trails up the hilly interior to get breath-taking views of the island. Or head out to the protected marine parks to glimpse the vibrant world beneath the waves. If you want to explore the marine life, you’ll instantly fall in love with Barbados. Daily tours take passengers out to the best coral reefs which burst with marine life of all shapes, sizes and colours. PADI-certified tourists can take the chance to explore shipwrecks. Few people outside the Caribbean realise the reputation in Barbados for their food. Mixing spices and herbs, Barbadian cuisine offers a fusion of African and West Indian flavours. You can sit in a classy Bridgetown restaurant and indulge in finedining. Or try the local favourite fish balls from vendors along the beach. Add in the seafood, prawns and lobsters almost as big as a cow. Barbados offers an excellent culinary experience and is a highlight of the island. Approximately 400 years ago, Mount Gay Rum Distillery created the world-famous drink. Jump to the 21st-century and rum is the most popular drink in the Caribbean, each island with their own flavours and styles. Whether you’re in a beachside shack listing to soca music or in Bridgetown’s finest restaurant, you’ll find rum on the menu. Take the chance to visit its birthplace and learn about its production in the distillery. The Caribbean has an unfortunate reputation for crime, robberies and attacks against tourists. Fortunately, Barbados is one of the safest islands in the region. There’s nothing to worry about, and you can embrace their world-famous laid-back lifestyle with the knowledge that you’re safe. 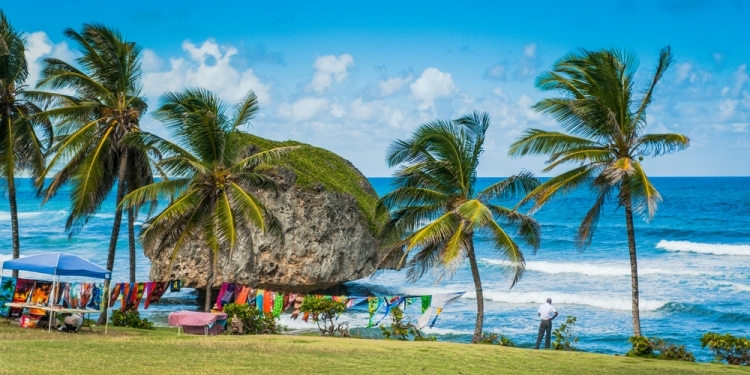 From upscale villas to budget-friendly guesthouses and jungle trekking to diving and swimming with turtles, Barbados offers something for everyone. The island’s diversity caters to more than a million annual tourists who almost always return home with a smile on their faces. And if you visit, you can join the ever-growing list of satisfied holidaymakers. Don’t Let a Small Budget Get in the Way of Exploring the World!